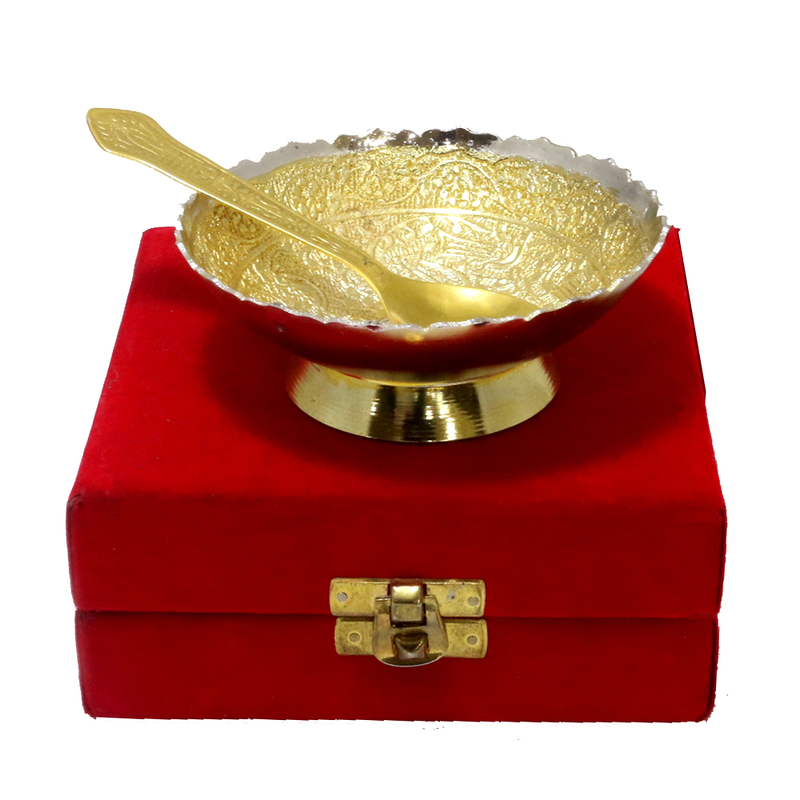 Add a dash of the royal feeling with this two toned German silver bowl and spoon. This might as well be the eye candy on Read More..your dinner table with its minutely carved designs with a hint of elegancy. Show Less..